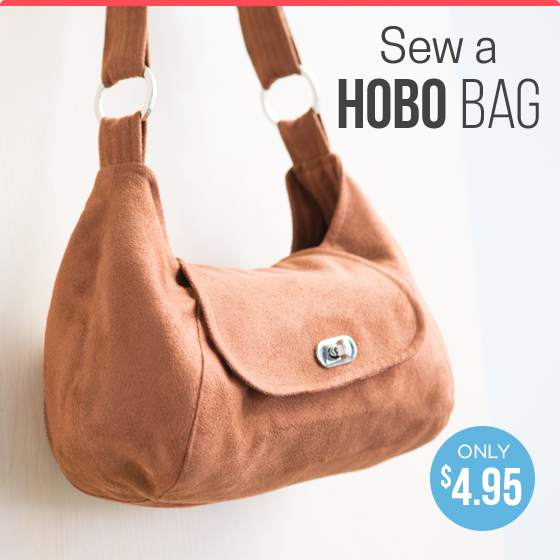 You SEW Girl: The Better Bag Maker - Reviews and giveaways (and generally being out there in the world). 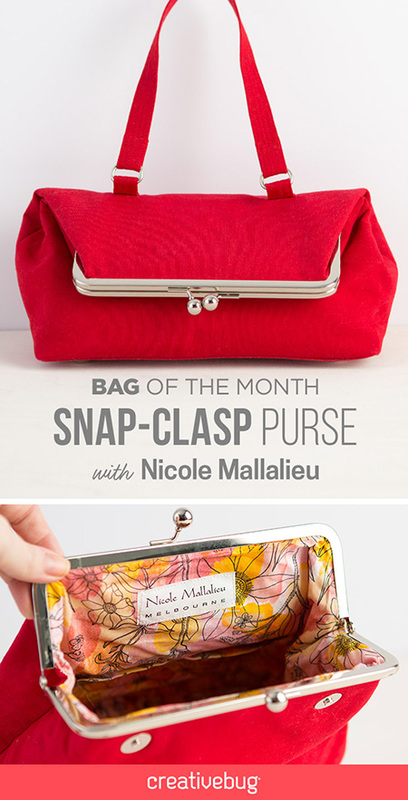 The Better Bag Maker - Reviews and giveaways (and generally being out there in the world). I set up a window display in Melbourne today. It took hours.... and while I was lost in a tangle of fishing line and climbing up and down a ladder, I watched as passers-by stopped and looked at my work (nobody seemed to notice me, which was lucky, because I was doing things like getting tangled in fishing line and dropping the scissors all the time). It was nice to see people being interested. Nobody laughed and pointed. Nobody mocked. Phew! It's always a bit scary putting something out into the world, for anyone to judge. And in the end, it all came together (sort of... I still want to tweak...). 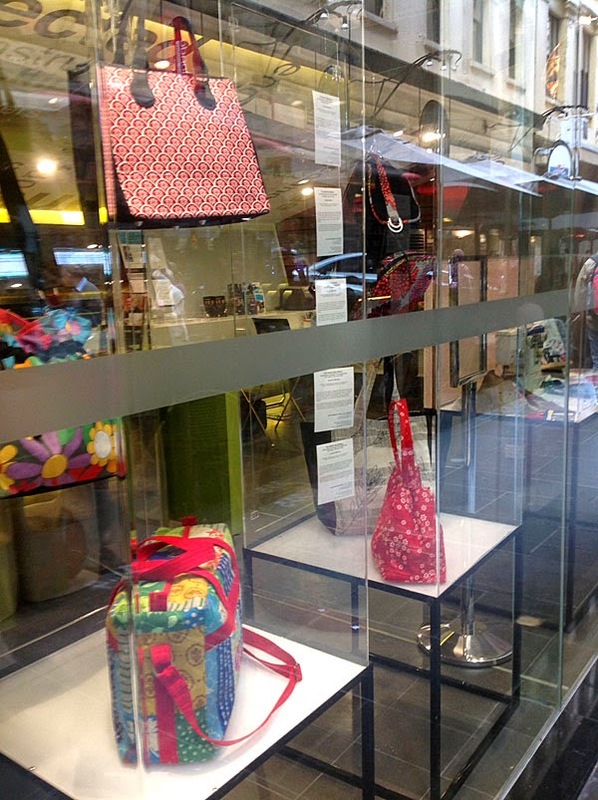 If you're in the city, you can see the display at the CAE info shop*, on the corner of Flinders Lane and Degraves St.
*I'll be teaching a few classes at CAE over the next wee while. There is a blog tour (with giveaways!) being organised as we speak, but while the finishing touches are being done to the schedule, we have a few early-starters for you. 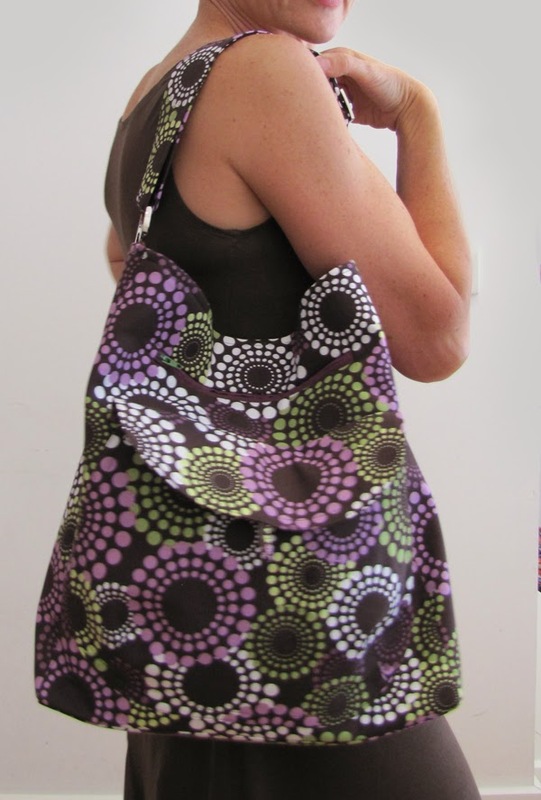 If you pop over to PatternReview.com now, you'll find a review and a giveaway there. If you're not a PatternReview member... why are you not? 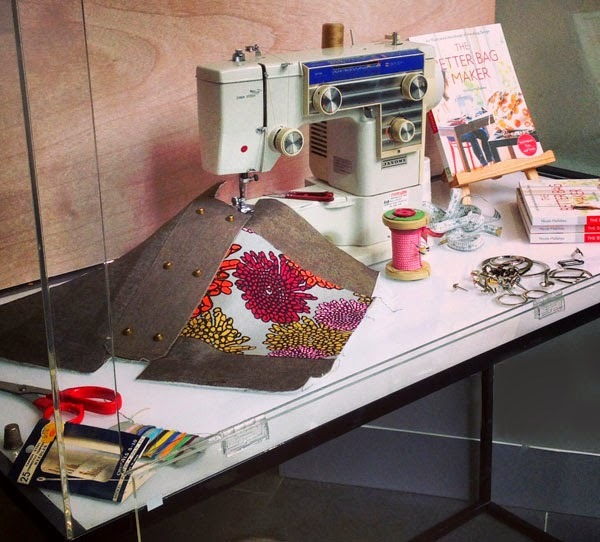 It's a fantastic resource for all things sewing, and basic membership is absolutely free ("Friends of PR" membership has extra benefits and is only about $30 a year). 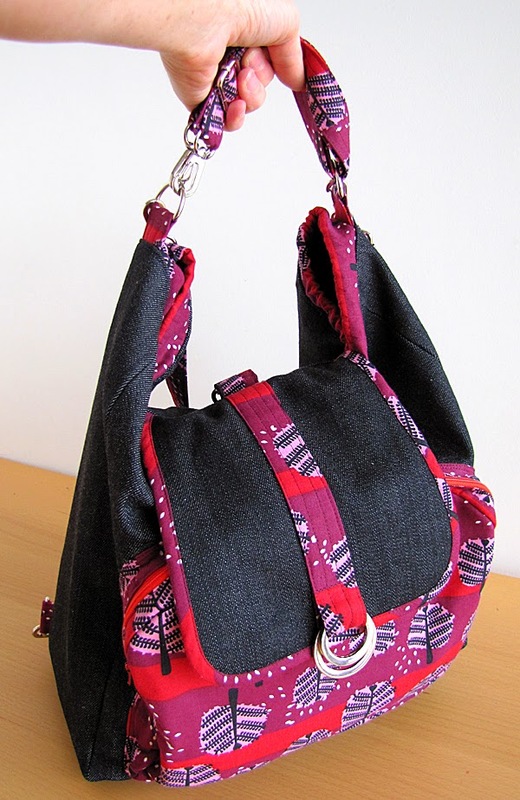 For every finished bag you see in the book, there were a few fully-developed samples made. I like to refine and tweak each design, and know each project thoroughly before I start writing instructions. Then I make it again to test that my instructions make sense...and after that, I send the instructions to a pattern-tester to check it again. 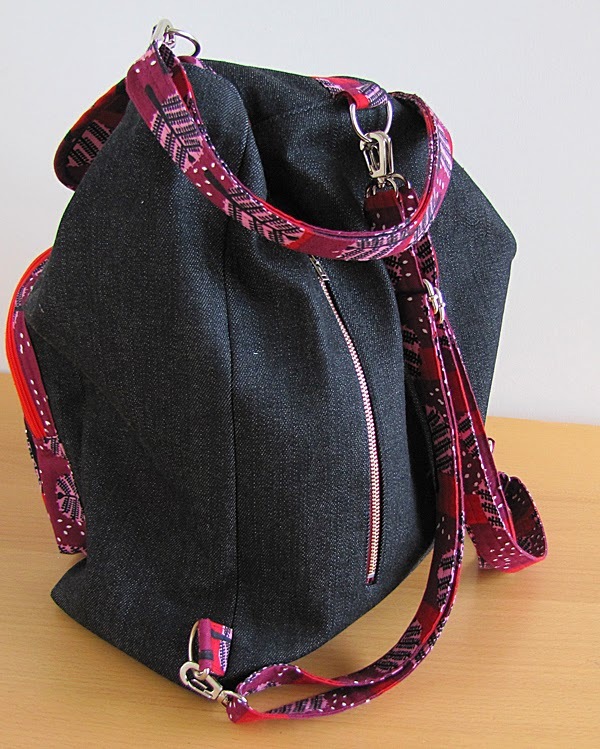 This is the Toronto Convertible Tote/Backpack in Saffron Craig fabric and denim. 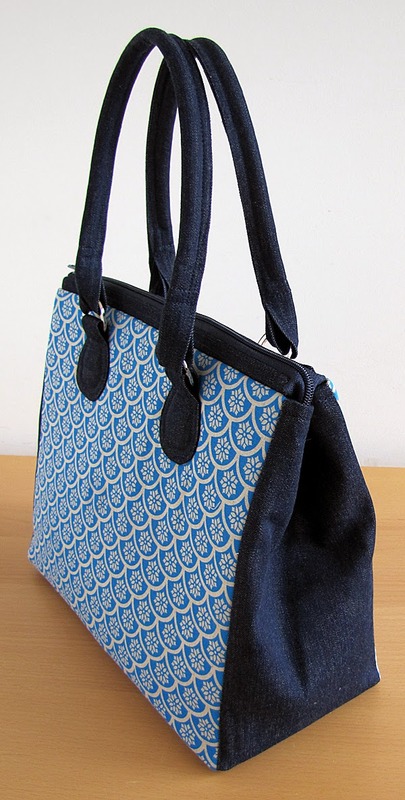 And this is the Barcelona Satchel in a blue colour-way of Yardage Design's "Fans". 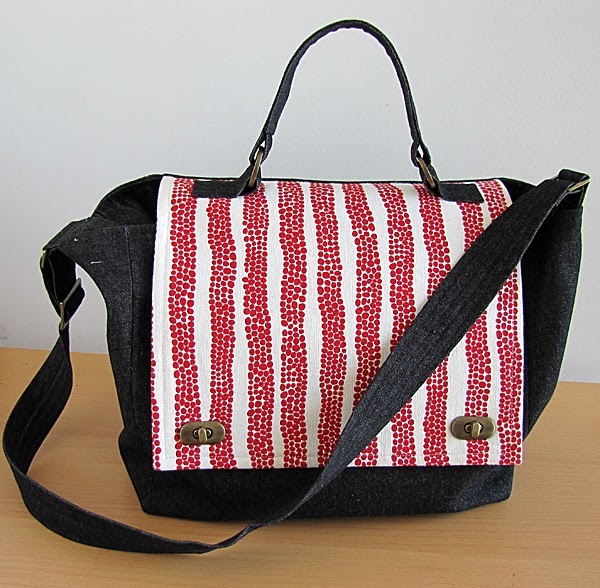 In the book, the Melbourne Weekender is in a Pippiejoe fabric, and here it is in another of Caitlin's gorgeous hand-printed fabrics. This Marrakesh Overnighter is actually the bag on the cover of the book, but I'm posting this photo here because (yes... again...) it was stolen from the Stash Books stand at the London Book Show. 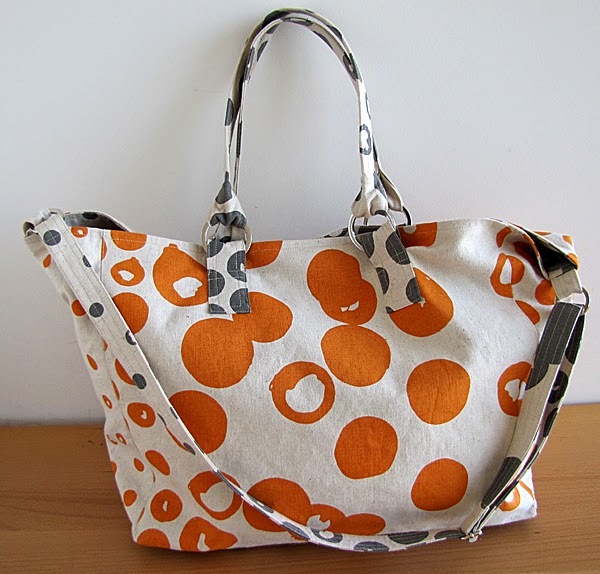 It's in very distinctive Kristen Doran fabric, and is a one-of-a-kind... so if you see it on the streets of your town, you know where it came from! 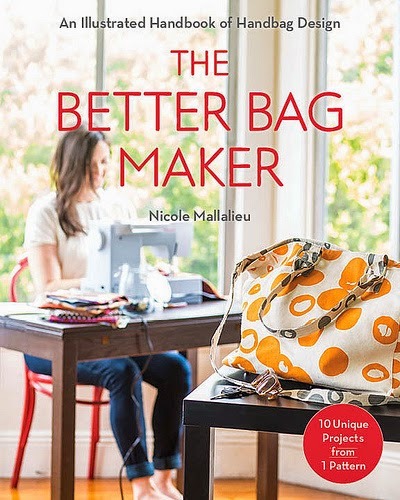 I'll be back with more news of the Blog Tour, but I can let you know that the first stop is one of my fabulous pattern-testers, and you'll be able to see other versions of the bags that are in the book. Check out Blogless Anna. She'll be posting her blog tour contribution next week! 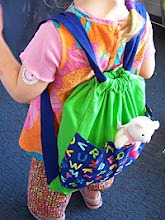 You can see more of the bags on the Flickr group I created for the book. Feel free to share your creations made from the designs in the book there. that window display is so cool! 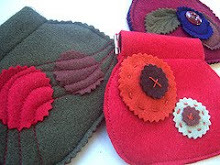 Lovely bags, as usual. Congrats! and Good luck for you and your little (not so little yet) girl! Congratulations on another book. You work so hard. Well done you. love the window, looks great! My pre-ordered copy is on it's way from Book Depository. Just in time for Mother's Day! 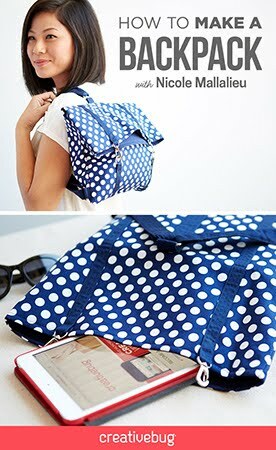 These new bags look very tempting...which one for a teacher work bag??? Hmmm hard to choose. Love ya work! Just received my copy and I'm very excited ... 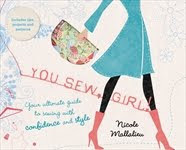 I just need a few things from my local sewing store and I'll be sewing from your new book this week! 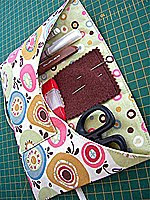 Love your new book Nikki, I'll be trying one of the handbags very shortly - have my machine out and ready to go. I love your choice of fabric. 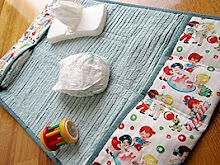 More than that though your talent is clearly definable as it is clear that you know how to cut a pattern. I wish I could sew half as well as you. Rose, I'm not exactly sure what you mean. The Peltex base is on a separate piece and goes over the outside of the seamed bag pieces. There is no peltex behind the seamed pieces. Please email me directly with what you've done and I'll help you.